Filming of the new Steve Jobs movie has finally started, the movie was originally being produced by Sony, but the company dropped the film and it was picked up by Universal. 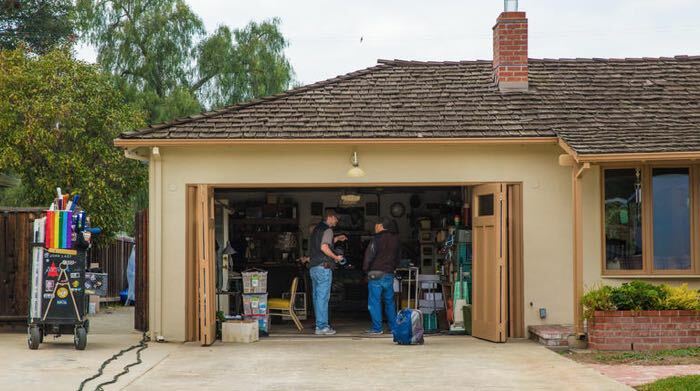 Universal have apparently started filming the new Steve Jobs movie, the photo above was shot by James Martin from Cnet and it shows Steve Jobs childhood home, and the garage were Jobs and Woz started Apple in. The Steve Jobs movie screenplay has been written by Aaron Sorkin, the movie is based on the biography or the late Apple CEO by Walter Isaacson and it is being directed by Danny Boyle. Filming for the movie will also apparently take place in San Jose and other Silicon valley areas and also Berkley. The movie is said to be split into three major scenes which will each be behind the scenes of three Apple product launches.